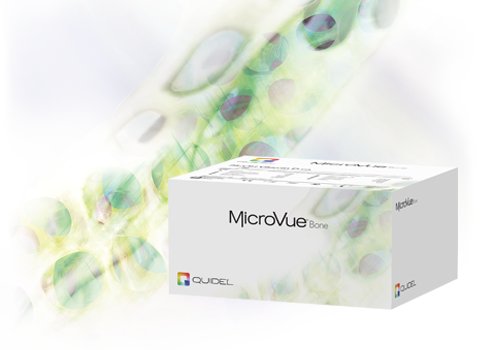 The MicroVue YKL-40 is a test to measure YKL-40, also known as human cartilage 39 (HC gp-39), in serum and human cell cultures. Though the role of YKL-40 is unknown at present, its pattern of expression and observed associations with various disease activities suggest it plays a role in tissue remodeling. YKL-40 — also known as human cartilage glycoprotein 39 (HC gp-39) is a 40 KD glycoprotein first described in whey secretions of nonlactating cows. Subsequently, its production by chondrocytes, synovial cells, activated macrophages, neutrophils, and osteosarcoma cells (MG-63) has been reported. It has both heparin and chitin binding domains and appears to be an autoantigen in rheumatoid arthritis. Recently, serum YKL-40 has been investigated as a new marker for cancer. Elevated serum YKL-40 is associated in many cancers studied to date, including cancer of the colon, lung, prostate, ovary, and breast.